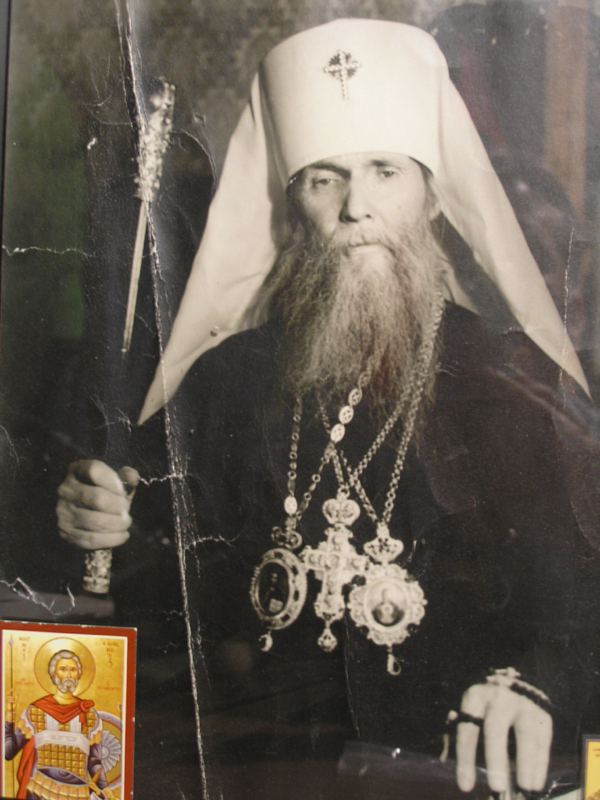 St. Philaret of New York: Will the Heterodox Be Saved? Question: If the Orthodox faith is the only true faith, can Christians of other confessions be saved? May a person who has led a perfectly righteous life on earth be saved on the strength of his ancestry, while not being baptized as Christian? Answer: "For He saith to Moses, I will have mercy on whom I will have mercy, and I will have compassion on whom I will have compassion. So then it is not of him that willeth, nor of him that runneth [struggleth], but of God that showeth mercy" (Rom. 9:15-16). In the Orthodox Church we have the path of salvation indicated to us and we are given the means by which a person maybe morally purified and have a direct promise of salvation. In this sense St. Cyprian of Carthage says that "outside the Church there is no salvation." In the Church is given that of which Apostle Peter writes to Christians (and only Christians): "According as His divine power hath given unto us all things that pertain unto life and godliness, through the knowledge of Him that hath called us to glory and virtue: Whereby are given unto us exceeding great and precious promises: that by these ye might be partakers of the divine nature, having escaped the corruption that is in the world through lust. And beside this, giving all diligence, add to your faith virtue; and to virtue knowledge, and to knowledge temperance; and to temperance patience, and to patience godliness; and to godliness brotherly kindness; and to brotherly kindness charity. For if these things be in you, and abound, they make you that ye shall neither be barren nor unfruitful in the knowledge of our Lord Jesus Christ" (2 Pet. 1:3-8). And what should one say of those outside the Church, who do not belong to her? Another apostle provides us with an idea: "For what have I to do to judge them also that are without? Do not ye judge them that are within? But them that are without God judgeth" (1 Cor. 5:12-13). God "will have mercy on whom He will have mercy" (Rom 9:18). It is necessary to mention only one thing: that to "lead a perfectly righteous life," as the questioner expressed it, means to live according to the commandments of the Beatitudes—which is beyond the power of one, outside the Orthodox Church, without the help of grace which is concealed within it. The question: Can the heterodox, (i.e. those who do, not belong to Orthodoxy—the One, Holy, Catholic, and Apostolic Church) be saved, has become particularly painful and acute in our days. In attempting to answer this question, it is necessary, first of all, to recall that in His Gospel the Lord Jesus Christ Himself mentions but one state of the human soul which unfailingly leads to perdition, i.e. blasphemy against the Holy Spirit (Matt. 12:1-32). The Holy Spirit is, above all, the Spirit of Truth, as the Saviour loved to refer to Him. Accordingly, blasphemy against the Holy Spirit is blasphemy against the Truth, conscious and persistent opposition to it. The same text makes it clear that even blasphemy against the Son of Man—i.e. the Lord Jesus Christ, the incarnate Son of God Himself may be forgiven men, as it may be uttered in error or in ignorance and, subsequently may be covered by conversion and repentance (an example of such a converted and repentant blasphemer is the Apostle Paul. See Acts 26:11 and I Tim. 1:13.) If, however, a man opposes the Truth which he clearly apprehends by his reason and, conscience, he becomes blind and commits spiritual suicide, for he thereby likens himself to the devil, who believes in God and dreads Him, yet hates, blasphemes, and opposes Him. Thus, man's refusal to accept the Divine Truth and his opposition thereto makes him a son of damnation. Accordingly, in sending His disciples to preach, the Lord told them: "He that believeth and is baptized shall be saved, but he that believeth not shall be damned" (Mk. 16:16), for the latter heard the Lord's Truth and was called upon to accept it, yet refused, thereby inheriting the damnation of those who "believed not the truth, but had pleasure in unrighteousness" (II Thes. 2:12). The Holy Orthodox Church is the repository of the divinely revealed Truth in all its fullness and fidelity to apostolic Tradition. Hence, he who leaves the Church, who intentionally and consciously falls away from it, joins the ranks of its opponents and becomes a renegade as regards apostolic Tradition. The Church dreadfully anathematized such renegades, in accordance with the words of the Saviour Himself (Matt. 18:17) and of the Apostle Paul (Gal. 1:8-9), threatening them with e ternal damnation and calling them to return to the Orthodox fold. It is self evident, however, that sincere Christians who are Roman Catholics, or Lutherans, or members, of other non-Orthodox confessions, cannot be termed renegades or heretics—i.e. those who knowingly pervert the truth...* They have been born and raised and are living according to the creed which they have inherited, just as do the majority of you who are Orthodox; in their lives there has not been a moment of personal and conscious renunciation of Orthodoxy. The Lord, "Who will have all men to be saved" (I Tim. 2:4) and "Who enlightens every man born into the world" (Jn. 1.43), undoubtedly is leading them also towards salvation In His own way. different faith, you will lose your soul forever." * The Greek word for "heresy" is derived from the word for "choice" and hence inherently implies conscious, willful rejection or opposition to the Divine Truth manifest in the Orthodox Church. Translation from the Russian by Stephen Karganovic.